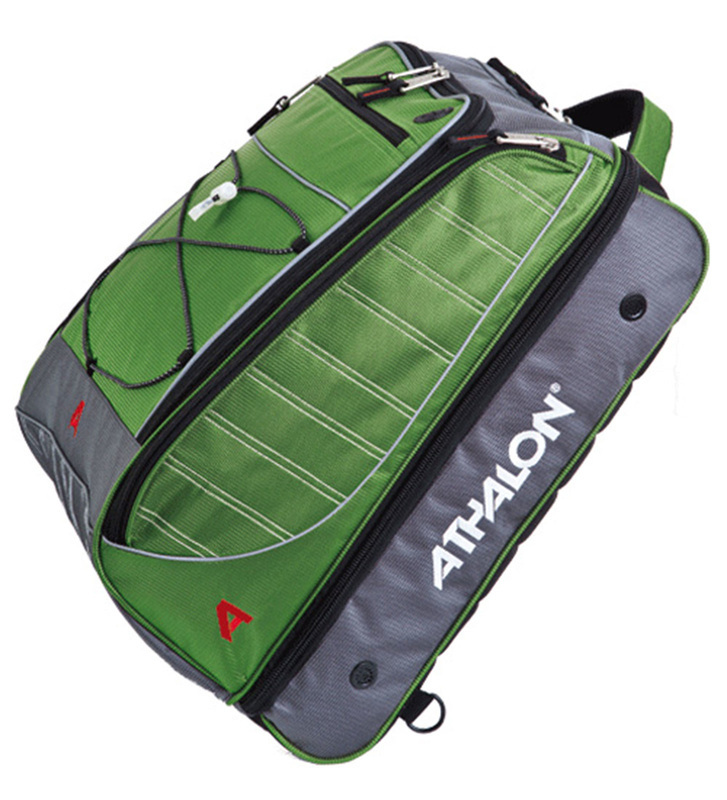 Athalon’s "The Glider" Boot Bag is loaded with features to suit your active lifestyle. The Glider has tons of functions. It’s the Ultimate Adventure Bag that is a patented new Travel System. 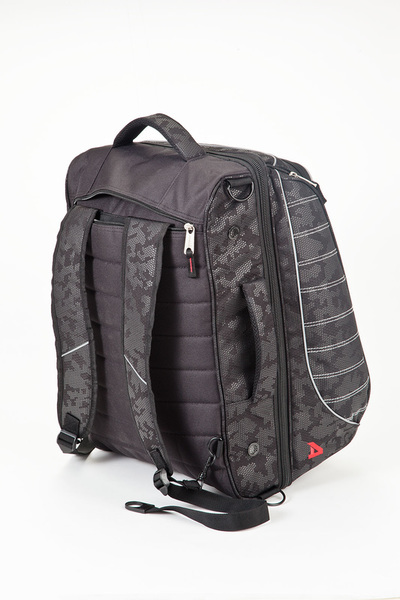 As a backpack it can be carried in a north/south direction with its hide-away backpack straps. The design distributes heavy weight, and gives maximum comfort while lightening the heaviest cargo. 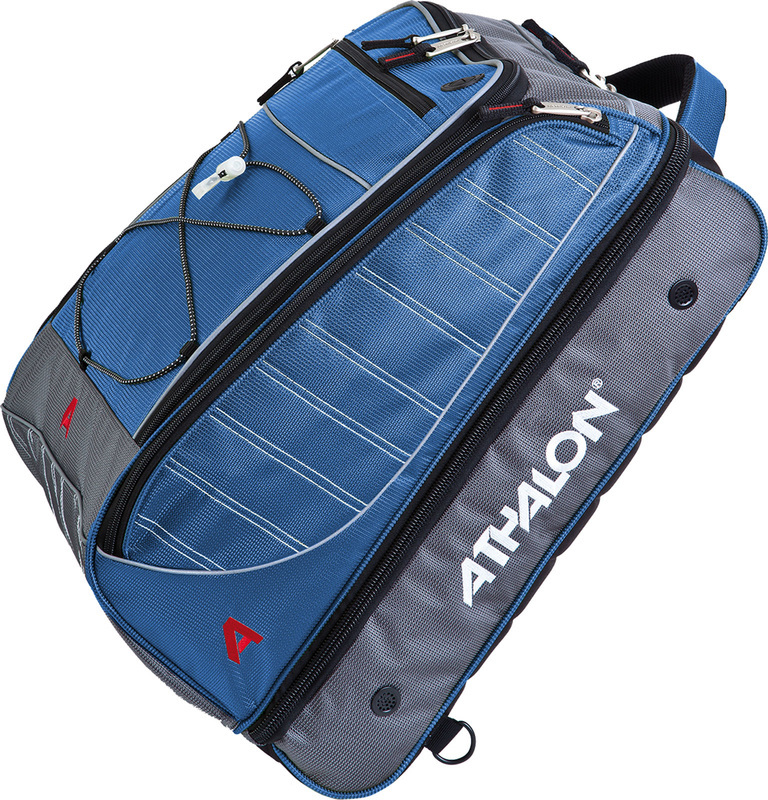 As a carry-all it can be carried horizontally and comes with detachable shoulder strap. Top and side ergonomic handles give lots of versatile carrying options. There is an over-under section. 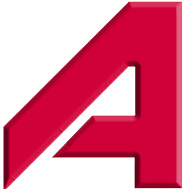 It’s great for boots or equipment. Internal dividers not only organize, but protect. 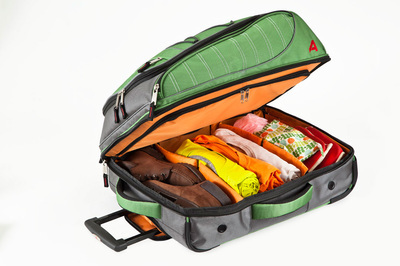 Internal dividers are collapsible so you can organize and protect your equipment, boots, and clothing. Interior zip-around trap door allows the bag to become adaptable for larger items. The bottom section is vented for aeration of boots and shoes. On either side, there are fully organized pockets. The top section features a full three-sided access opening, mesh wall pockets, music port, and exterior bungee cords. 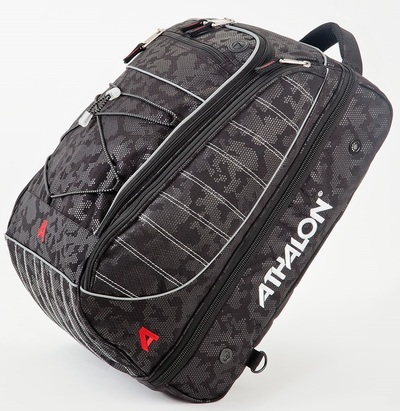 The bottom section accommodates one pair of Ski/Snowboard boots and protects them with padded dividers.